India is home to over 72 million people with diabetes mellitus, according to International Diabetes Federation. IDF Atlas 8th edition stated that over 123 million people will have diabetes by 2045. People with diabetes are at increased risk of developing cardiovascular disease as high blood sugar causes damage inside blood vessel walls. Heart disease affects diabetics twice as often as people without diabetes. 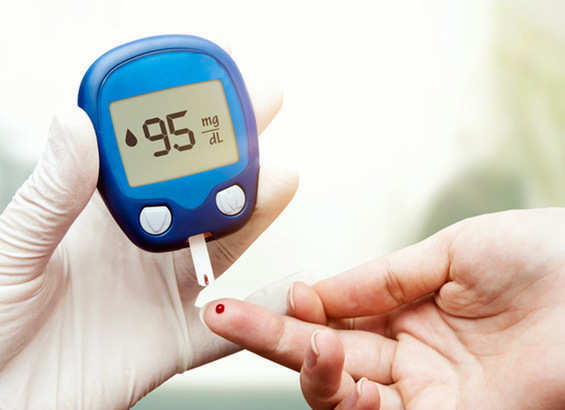 When a person has diabetes, his/her blood sugar levels are often much higher than it should be. Too much sugar in the blood can cause damage to many parts of the body, including blood vessels resulting in coronary artery disease. This damage makes it easier for fatty deposits to form in arteries and cause narrowing or blockages that can lead to heart attacks or strokes. People with diabetes are also at risk for heart failure. Heart failure is a chronic condition in which the heart cannot pump blood properly. Unfortunately, many of the cardiovascular problems start early in life in people with diabetes and can go undetected. Those with diabetes sometimes suffer what is called “silent ischemia” or silent heart attack, which account for 25-30 percent of heart attacks. Silent, in this case, means the patient gets a heart attack without experiencing chest pain. People with diabetes usually don’t feel chest pain because of nerve damage caused by poorly-controlled diabetes. The symptoms that are felt may be ignored, or passed off as indigestion or stomach upset, vague dizziness or weakness. The best way for prevention of heart and blood vessel disease is to take good care of themselves and their diabetes. 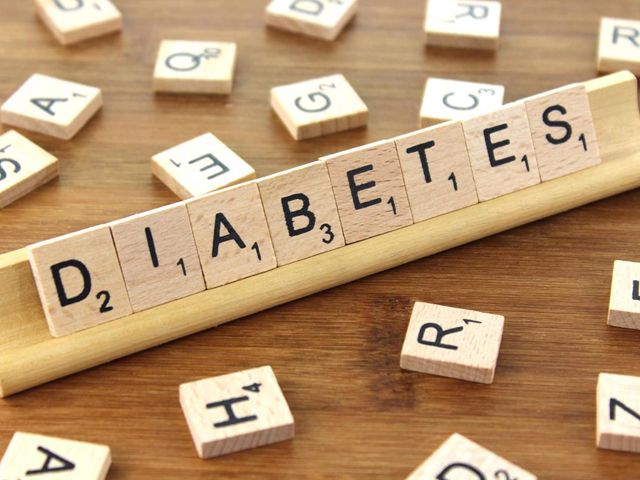 Control the ABCs of diabetes to reduce risk for heart disease and stroke. Also called as hemoglobin A1C test, it measures average blood glucose over the past 3 months. It should be less than 7%. Your doctor may prescribe insulin is your HbA1c is more than 9.5% at the time of diagnosis or more than 7.5% even after taking oral drugs. This test is recommended at least twice a year. Blood pressure must remain less than 130/80 mmHg. Checking blood pressure at every doctor’s visit is essential. A person with diabetes will need medications if blood pressure is above this level. Cholesterol is an important factor that affects the heart. The cholesterol that needs to be checked is the HDL, LDL and the triglycerides. All of them should be within the specified limits. The optimal target is less than 100 milligrams per deciliter (mg/dL) for LDL cholesterol. For HDL cholesterol, the recommended level is more than 40 mg/dL. Every diabetic should get his lipid profile done every year. If blood glucose, BP, and cholesterol levels aren’t on target, then a person with diabetes needs to work on altering his lifestyle. Few changes in diet, activity, and medications can help him/her reach these goals. 1. Keeping blood sugar level under control will lower risk of heart disease. 2. Diabetes, being overweight and heart diseases often hand-in-hand. Losing weight helps in lot of health problems. 3. It’s best to keep cholesterol level in prescribed limits. Cut down on saturated fat (found in meats, poultry, butter, dairy products, palm oil, coconut oil). Limit intake of bakery products, samosa, kachoris, snacks like chips, namkeen mixtures, fried foods and items made with partially hydrogenated oil. While being active, staying hydrated, and checking blood glucose levels can work wonders, it is important to stick to a dietary plan that will ward off diabetes in the long run. A recent study showed that antioxidant-rich walnuts can nearly halve the risk of developing Type-2 diabetes. For patients, the ideal diabetic diet plan would be to have 1200-1600 calories per day. It is recommended that diabetics should eat good carbs, fats, and healthy proteins, but in small portions. ETPanache got in touch with doctors and dieticians to get you the ultimate list of foods you must consume to stay healthy. After news of walnuts as you new superfood to keep diabetes away, it’s time to look at the other superhero nuts and seeds. They have protective effects for people with diabetes. Flaxseeds/linseeds, almonds, peanuts, pumpkin seeds, macadamia nuts, pistachios, cashew nuts, chia seeds, etc are the best nuts and seeds for diabetics as they reduce and regulate the insulin levels in the body. 4. Have a diet which is high in fibre as it helps in lowering blood cholesterol. Replace refined flour with whole wheat, white rice with brown rice. Consume oatmeal, nuts, dried beans and peas, fruits, and vegetables. 5. Be physically active. Aim for at least 30 minutes of exercise daily, and take up an active lifestyle like climbing stairs, and walking to the nearby grocery shop. 6.Smoking worsens risk of heart disease. If a person is diabetic and a smoker, the risk of getting cardiac problems is multiplied. A person with diabetes is at a much greater risk for heart attacks, strokes, and high blood pressure. A healthy diet, regular physical activity, weight loss, smoking cessation, limited alcohol consumption and proper medication all are beneficial. By taking these few steps, every person including people with diabetes can enjoy a healthy and long life. Cardiovascular heart diseases cause over a quarter of the total deaths in the country, and affect rural populations and young adults the most, according to a study published by The Lancet Global Health. The study also shows that younger adults, especially those born after 1970, have the highest death rate due to the narrowing of the heart’s arteries. Research indicates that almonds, a source of protein and high in dietary fibre, helps in maintaining healthy blood sugar levels and lower blodd sugar impact of carbohydrate foods. Experts said that one must consume good fats in proportion and avoid saturated and trans-fat from the diet. FSSAI’s Eat Right Movement recommends reduction in sugar, salt and oil in the daily diet. “Reduce your intake of sugar, salt and oil by half to reduce your incidence to heart disease by half,” said Delhi-based nutritionist Ritika Samaddar.